Have you experienced Byron Adventure Vans? Help others learn about this company by sharing your first-hand information with other road-trippers. Set in the coastal town of Byron Bay, Byron Adventure Vans spells out bohemian comfort through their older yet affordable Mercedes and Volkswagen vans. Byron Bay Adventure Vans pins down a particular interior layout in all units on fleet— the bohemian style. This charming design makes them unique and quite attractive, especially for backpackers wanting some chill vibes without breaking the bank. Aside from the laid-back aura of the vehicles, the affordability and compactness of the campervans also give them a slight edge among smaller competitors. Getting to their one and only branch is quite easy despite of the limited depot. You may avail of the shuttle services or pay a certain amount for their pick-up and drop-off services. There are only 4 vehicle types to choose from, and older models are at large, ranging from the 1998 Toyota Spacia to the 2012 Model Volkswagon Transporter. 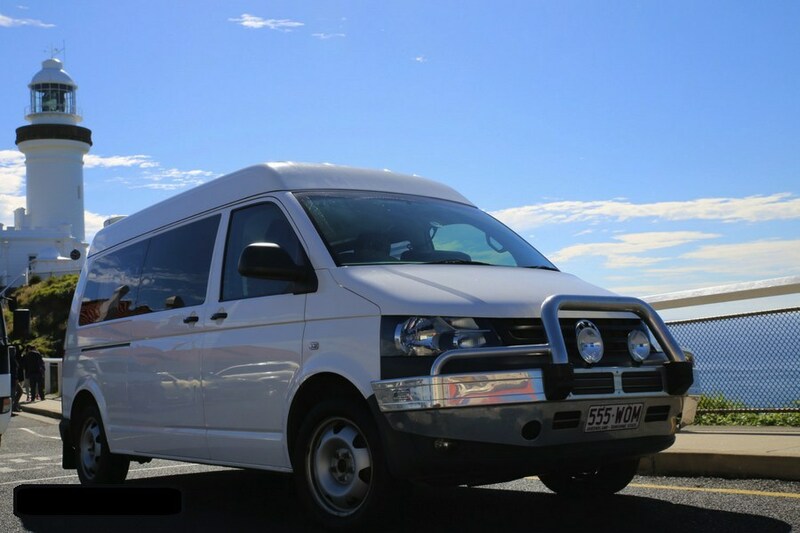 These campervans can sleep 2 to 3 people only, but it is loaded with cooking equipment, camping essentials like tables and chairs, and even picnic sets, you'll also be amazed with certain extras at no additional cost such as bath and beach towels, doona, pillows, sheet and more. Also, you'd never miss the beach daze and the lapping waves because there's an extra room for your surfboards! And take note, the campervans may not be self-contained but all come with free parking stickers for regional parks and Byron Beachfront parking. 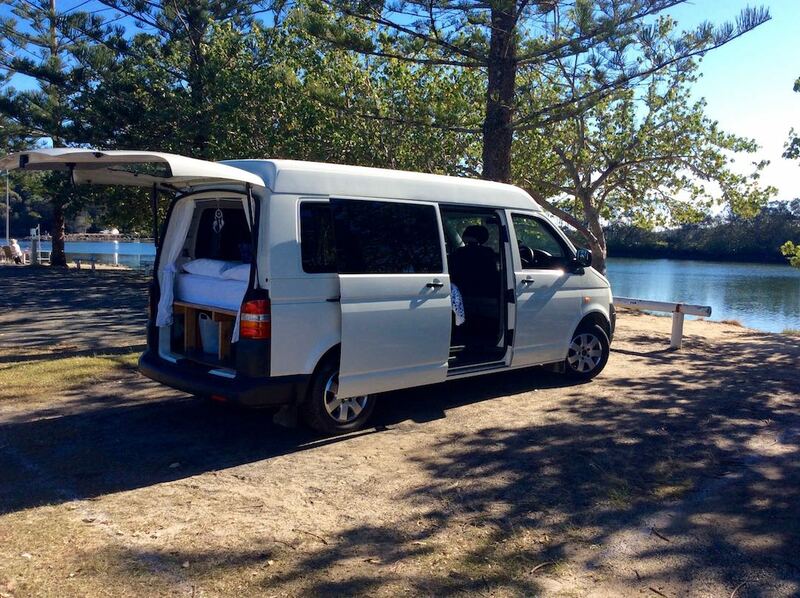 Their Bambino campervan is an adorable and affordable choice for budget backpackers. This small but compact vehicle is the only Toyota Spacia model on selection, which is very easy to drive and park around. Not only that, the double bed equipped with clean and crisp linen, feather doona, and an extra blanket― are all for free! There are also beach and bath towels, picnic gear, camping table and chairs, at no additional cost. An esky is provided instead of a fridge. The Dolphin Dreaming is a 2005 Volkswagon Transporter T5 that highlights the 5-door set-up with a free table inside. This partly luxe campervan with long wheelbase gives a roomy layout. Another significant feature is the tinted windows for a more discreet adventure. 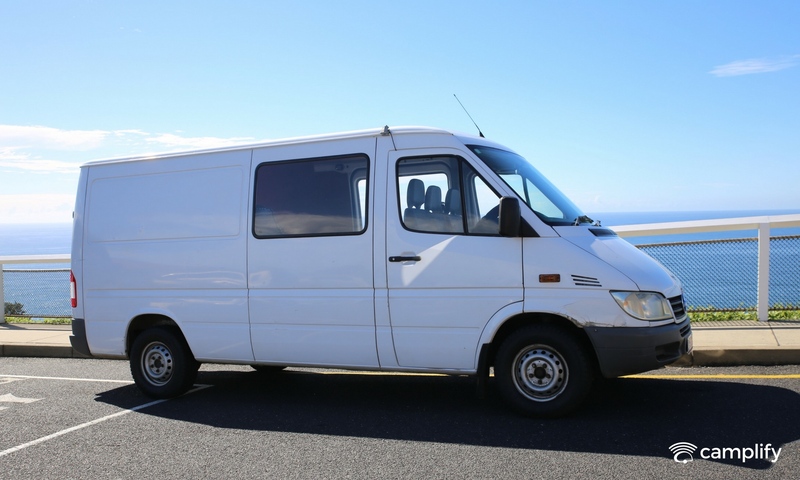 With a 2005 Mercedes Sprinter as base vehicle, the Gypsy Wanderer exudes a slight hint of elegance and style. Unlike the Dolphin Dreaming, this manual campervan may not be very enticing to those who need privacy while on the road. But both 2005 models have the same rates, so it's clearly up to you what to choose between the two. With no other insurance options to limit the liability, this could definitely be an imposing factor before renting a campervan from them. The standard excess is at $2,500 that is payable at the time of vehicle collection through a credit card imprint with authorization. Another thing that adds to the insurance fuss is the exclusion of windscreen and tyre in the coverage. Byron Adventure Vans seems to target a very limited market and age bracket. The hippie campervans maybe a serious lure to younger travellers, but maybe not for the older ones. Aside from that, it only caters small groups at their one and only depot in Byron Bay. 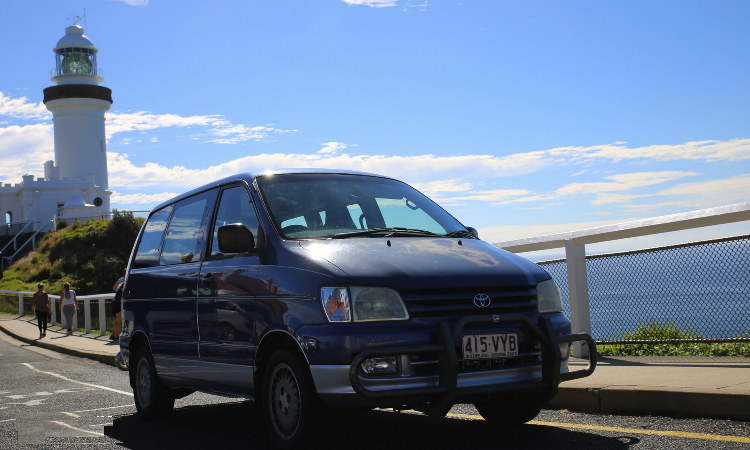 Despite of the not-so-good aspects, Byron Adventure Vans is one of the few campervan rentals in Byron Bay with limited yet mostly positive reviews. The company is an attraction for some, but not for all. If you are hippie at heart without minding a having a shower and toilet and other fancy facilities in the vehicle, then Byron Adventure Vans could be a nice choice. Still, the company is ideal for a simple, coastal road trip. Have you experienced Byron Adventure Vans?